In it’s continuing efforts to build out infrastructure to transport the Marcellus Shale natural gas found in Northeastern Pennsylvania to market, a pipe line company reported another drilling mud spill during construction. The company reports that the drilling mud spill was contained and did not pollute the pristine streams in the construction area. DEP was called and is on site investigating the spill. 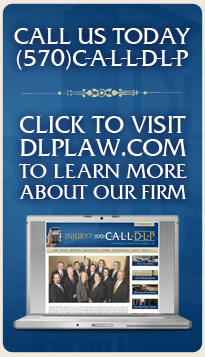 The twelve lawyers at DLP, PENNSYLVANIA TRUCK ACCIDENT AND DRILLING RIG ACCIDENT/INJURY LAWYERS, continue to monitor this and other drilling rig issues in Bradford, Susquehanna, Tioga, Potter, Wyoming, Sullivan,Lycoming and other locations in Northeastern and Central Pennsylvania.